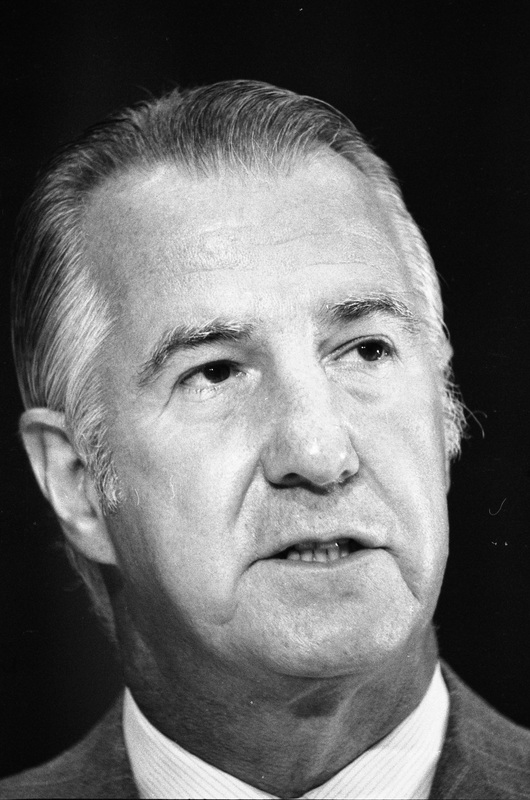 Description: Spiro Agnew, Vice President, 10/10/1973. 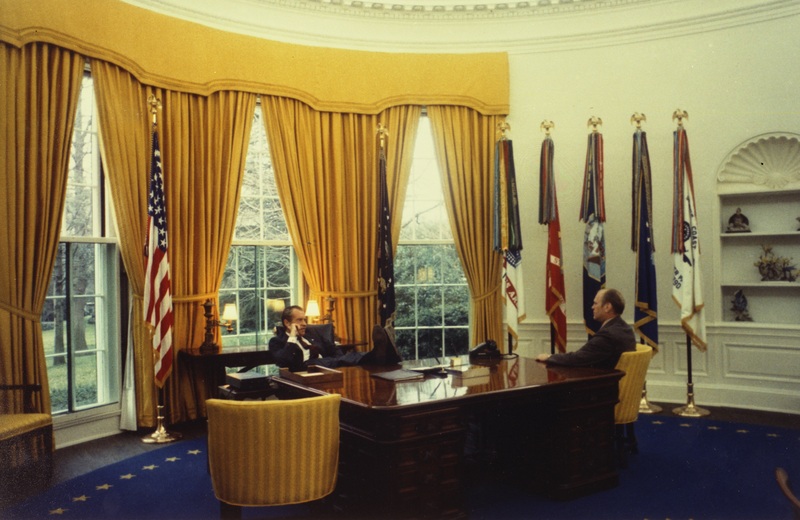 Description: President Richard M. Nixon and Representative Gerald R. Ford meet in the Oval Office prior to the nomination of Mr. Ford to succeed Spiro T. Agnew as Vice President. 10/13/73. 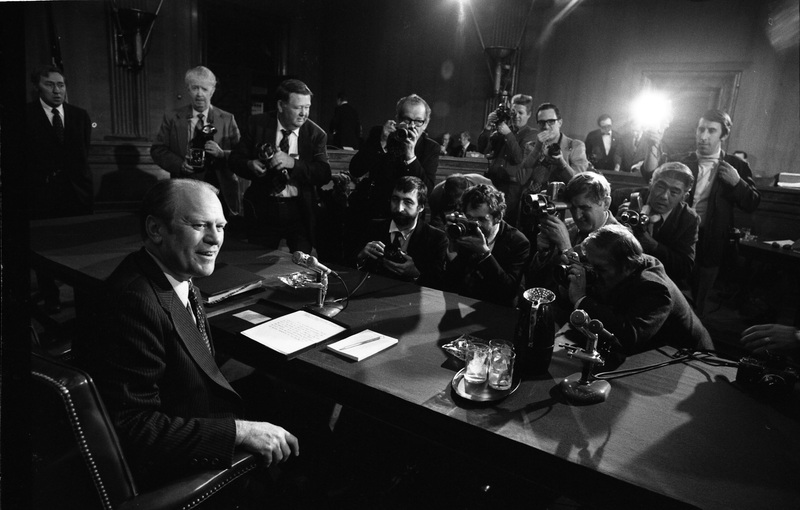 Description: Gerald R. Ford and members of the press at his Vice Presidential confirmation hearing before the Senate Rules Committee, 11/1973. 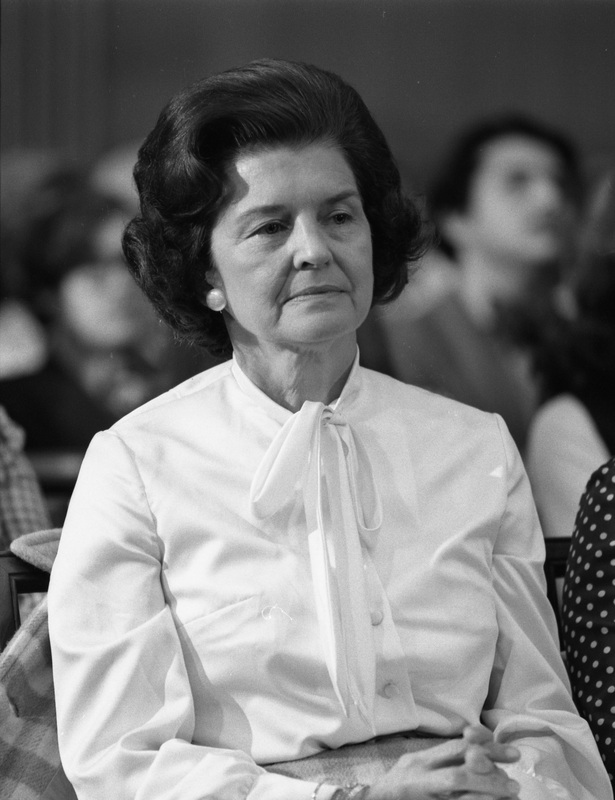 Description: Betty Ford at Gerald Ford's Vice Presidential Confirmation Hearing before the Senate Rules Committee, 11/1973. 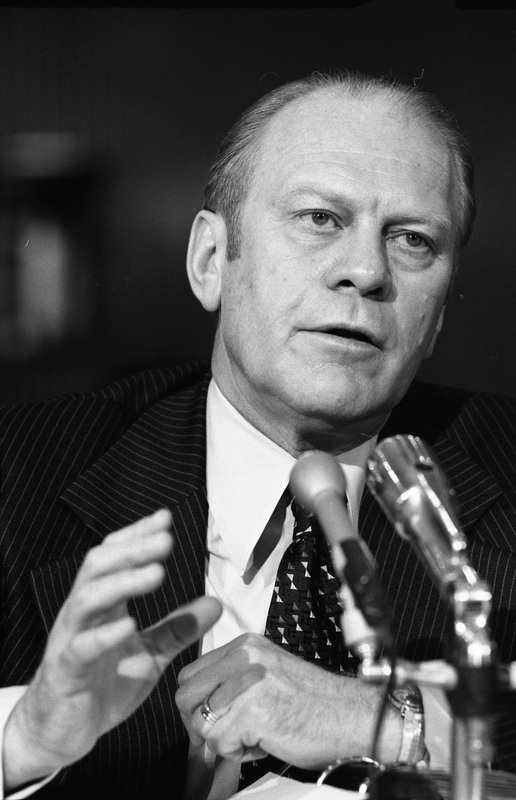 Description: Gerald R. Ford giving testimony at his Vice Presidential confirmation hearing before the Senate Rules Committee, 11/1973. 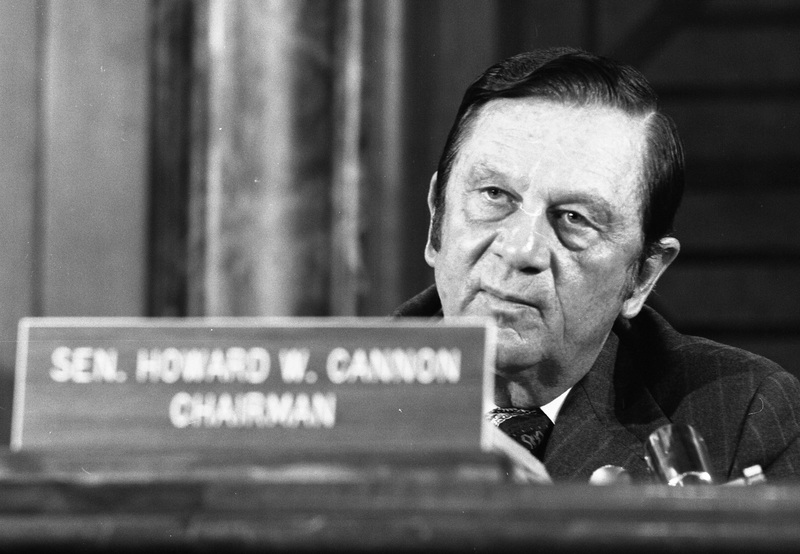 Description: Senator Howard Cannon, Chariman of the Senate Rules Committee, at Gerald R. Ford's Vice Presidential confirmation hearing, 11/1973. 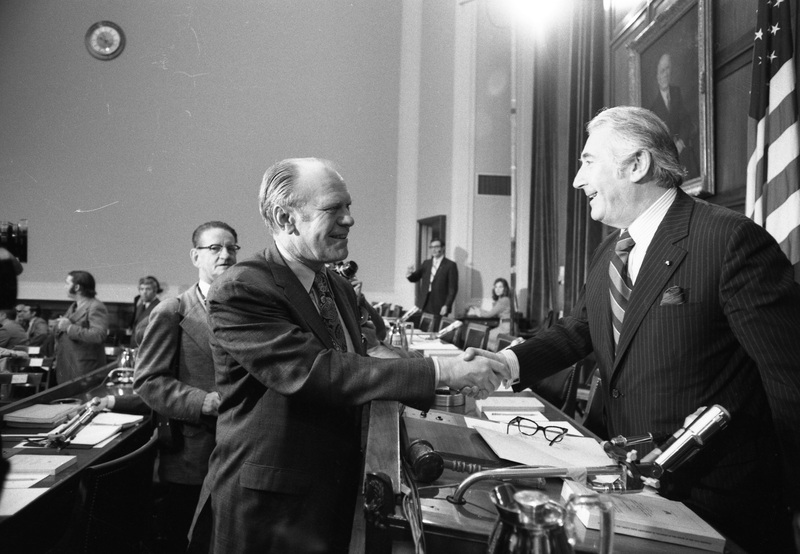 Description: Gerald R. Ford greeting members of the House Judiciary Committee at his Vice Presidential hearing, 11/15/1973. 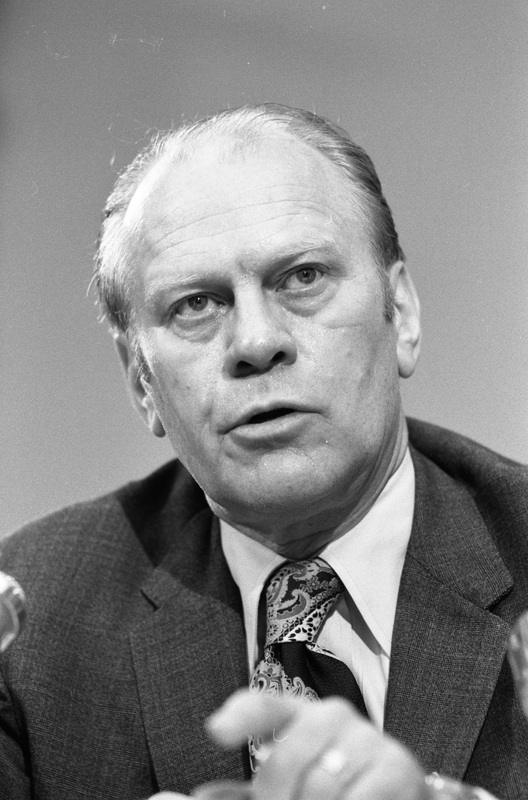 Description: Gerald R. Ford at his Vice Presidential House Judiciary Committee hearings, 11/15/1973. Description: Gerald R. Ford giving testimony at his Vice Presidential confirmation hearing before the House Judiciary committee, 11/15/1973. 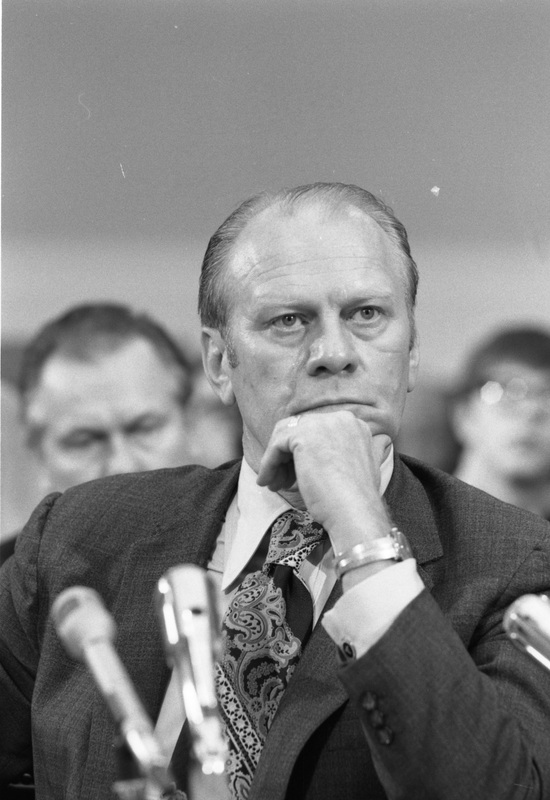 Description: Gerald R. Ford at his Vice Presidential confirmation hearing before the House Judiciary Committee, 11/15/1973. 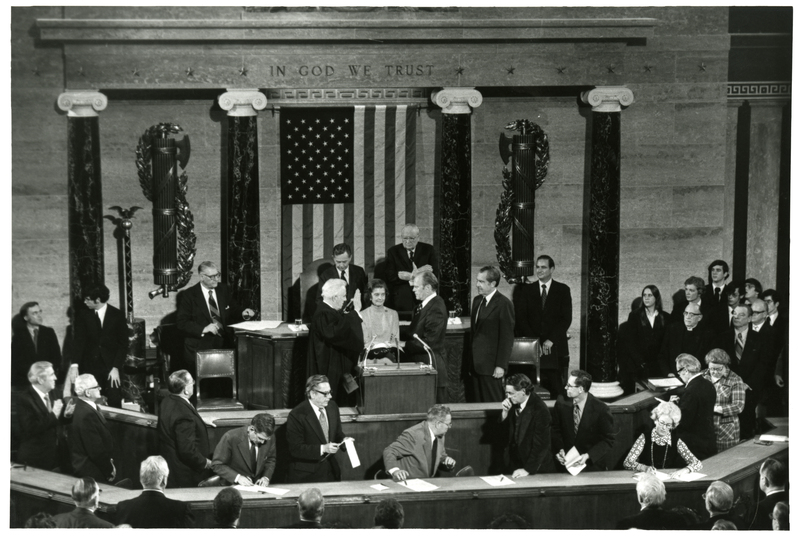 Description: Gerald R. Ford sworn in as 40th Vice President of the United States, 12/6/1973. 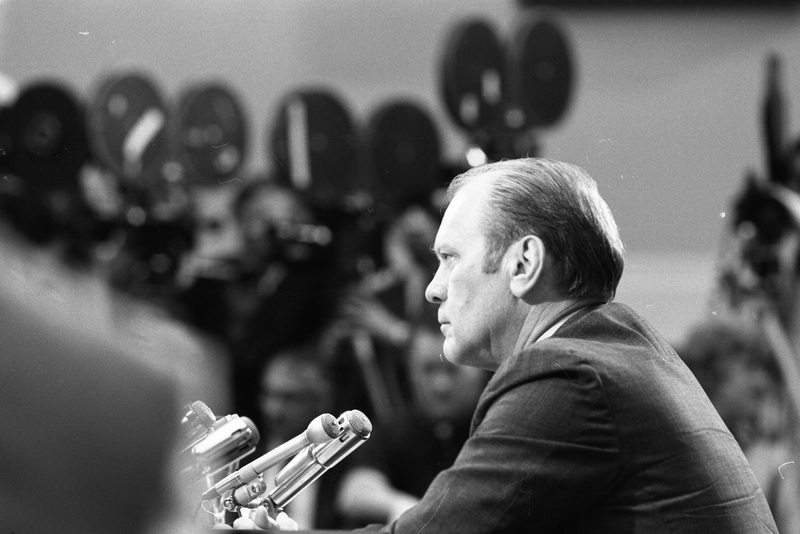 Description: Gerald R. Ford's first press conference as Vice President, 12/20/1973. 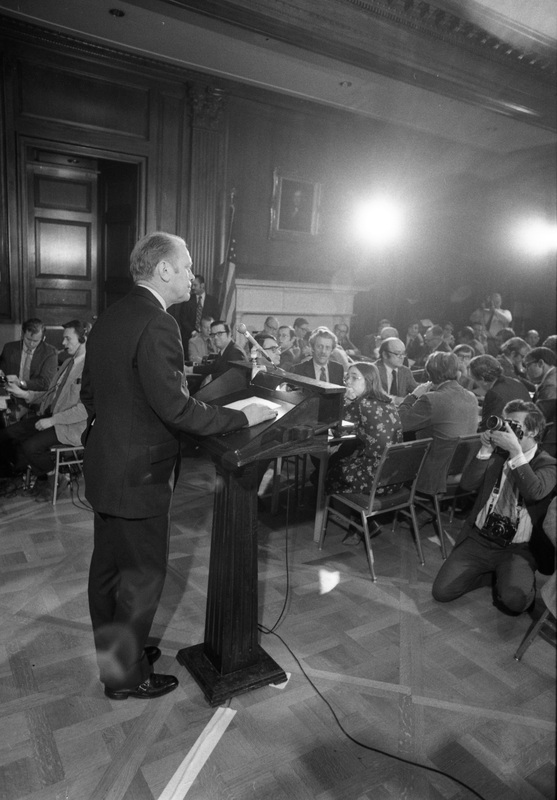 Description: Gerald R. Ford's first press conference. 12/20/1973. Description: President Ford and Nelson A. Rockefeller talk outside the White House press briefing area after the President announced his intention to nominate Rockefeller as Vice President of the United States. 8/20/1974. Description: President and Mrs. Ford meet with Nelson A. Rockefeller in the President's private office prior to the President's announcement nominating Nelson Rockefeller as Vice President of the United States. 8/20/1974. Description: President Ford makes the announcement that he will nominate Nelson A. Rockefeller as Vice President of the United States in the Oval Office. 8/20/1974. 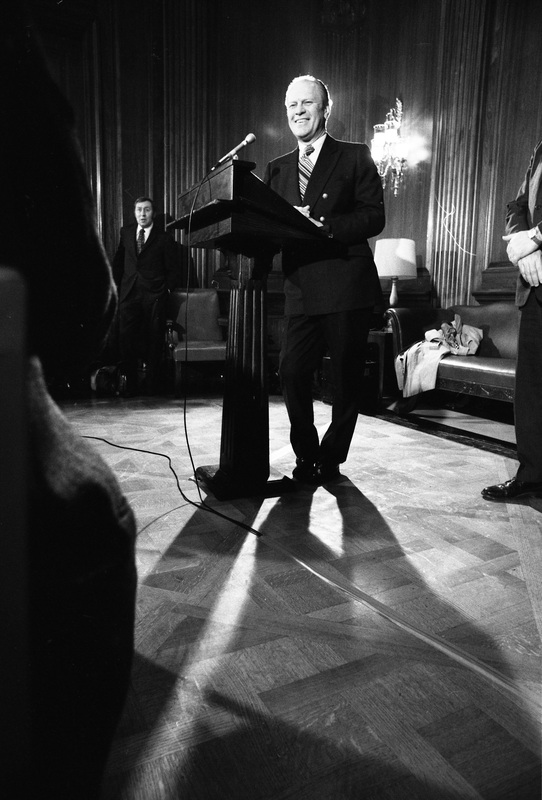 Description: Vice President-delegate Nelson Rockefeller gives a press conference in the White House press briefing room following President Ford's announcement of his nomination. 8/20/1974. Description: President Ford and Nelson A. Rockefeller in the Oval Office as the President prepares his message to Congress nominating Rockefeller as Vice President of the United States. 8/20/1974. Description: Chief Justice Warren Burger administers the oath of office to Vice President Nelson A. Rockefeller in the Senate Chamber of the U.S. Capitol. 12/19/1974. Description:�Nelson A. Rockefeller signs the Senate book before being granted permission to make remarks in the Senate Chamber after being sworn in as the 41st Vice President of the United States. 12/19/1974. Description: Nelson A. Rockefeller addresses the Senate after being sworn in as the 41st Vice President of the United States in the Senate Chamber of the U.S. Capitol. 12/19/1974.